When it comes to creating the perfect picture, we like to think out of the booth and create custom photo set. Sometimes the venue itself can provide a beautiful backdrop for photos with no screen necessary. A wedding in a garden? A party with a view? Let us set up a photo station that lets your venue showcase the event! This idea began a few months ago when we were referred to a client hosting their wedding at DeLille Cellars in Woodinville, Washington. Originally, the bride and groom were not sold on the idea of a photo booth at their wedding. Rather they wanted something classy, beautiful, and fun. The groom had the idea of utilizing the wine cellar somehow, to which we replied “You want a photo booth… without the booth!” Fantastic idea. 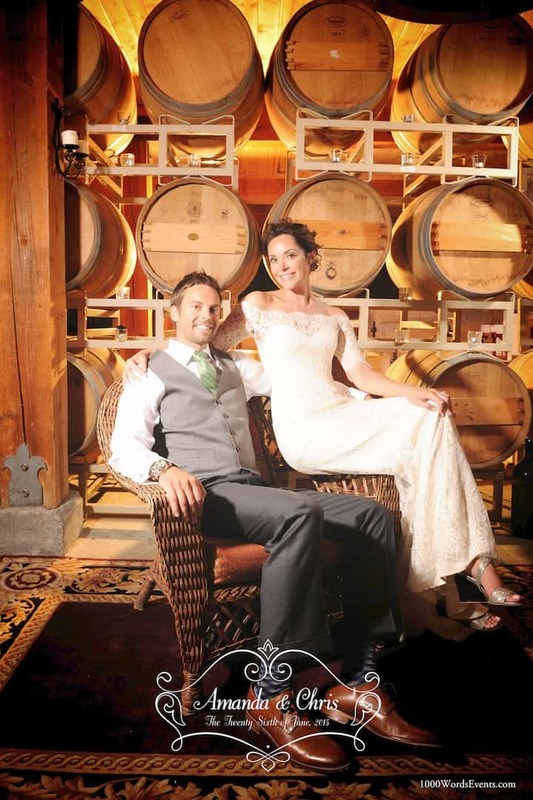 So, we found a photogenic spot in the wine cellar with barrels and rich wood, lit it dramatically, and created a beautiful custom photo set complete with a wicker chair and elegant rug. The scene was inspired by the Dos Equis Most Interesting Man in the World commercials, with sophistication and swagger fit for the formal occasion. The result was evocative of the event and venue with no booth necessary. We greeted each one by saying he or she was the most interesting person at the party. They knew the reference and how to act. 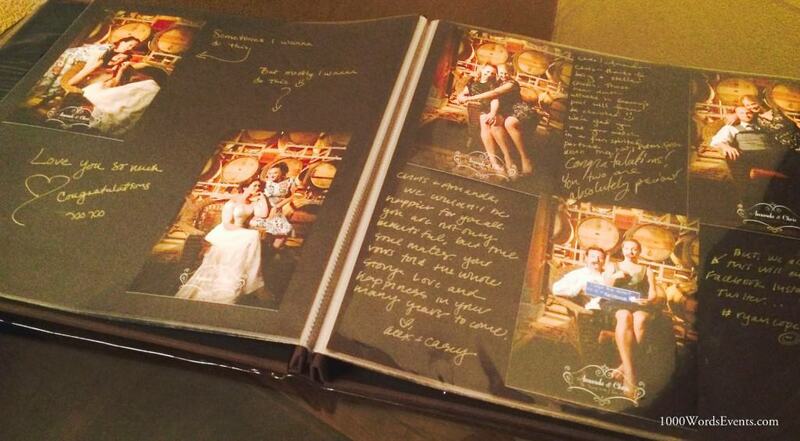 Each guest left with a print to take home, and we also made copies for the newlyweds’ guest book. This custom photo set turned out to be better than our clients expected! We have already sold this concept to another couple for their spring 2016 wedding and will continue to provide this option along with our regular photo booth services. Check out more unique photo booths by 1000 Words here!